If you’re still relying solely on traditional display ads, you’re missing out on one of the best opportunities to grow your brand: native advertising. Keep reading to find out what it is, why it works, and how to do it right. Unlike other forms of paid advertising, native ads are meant to blend in with the content that surrounds them. This means native advertising should match the form, feel, and function of its placement site. When you choose native advertising, you are paying for exposure that will feel more natural and compelling to your target audience than other ads. Native advertisements are especially common on social media platforms like Facebook and Twitter. 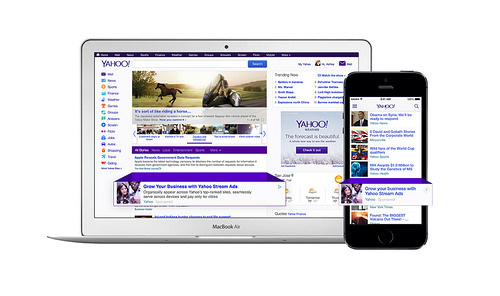 You may have also noticed native advertising on Yahoo, BuzzFeed, and other popular sites. Even news sites like Forbes and online retailers like Amazon utilize native advertising to generate additional revenue. In-feed native ads: This includes stories that are labeled as “sponsored content” on publishing sites as well as in-feed advertisements that show up on your Facebook or other social media feeds. Search and promoted listings: Paid search ads often look exactly like the organic search results — but with an ad disclosure. Promoted listings are similar in that they look almost identical to a website’s other product or service listings, such as the “sponsored” products on Amazon. 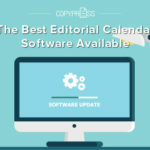 Content recommendation widgets: Recommendation widgets are commonly found at the end of an article or near the bottom of a website’s homepage. 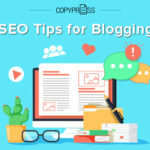 They are usually introduced with language like “You May Also Like,” “From the Web,” or “Recommended for You,” followed by links to other content. Custom content units: Because they are designed to blend in with a website’s other content, native ads can take any number of forms. Any ad that doesn’t fit neatly into one of the categories above would be classified as custom. Meanwhile, Relevance has proposed four categories of native ads that it believes are less confusing than the IAB’s core six. Long-form native advertising, such as sponsored articles. Programmatic native advertising, which matches the form, feel, and function of the surrounding content but is powered by an algorithm, artificial intelligence, or another program. In-feed social media, which includes all ads that show up in social media feeds. Non-programmatic native advertising, a catch-all category that includes any content that doesn’t fit into the other categories and is not programmatic. The success of your native advertising campaign will depend largely on how well you choose your placement site and ad type. They are more relevant. While display ads are often based on a user’s browsing history, native advertising is designed to blend in with the publishing site. That means instead of seeing a random, out-of-place ad for kitchen knives on a travel blog, visitors might see an article sponsored by a rental car company or travel agency. Natives ads will be more relevant to the user’s current activity, which means they are likely to be seen as helpful rather than annoying. Customers feel better about them. Banner ads, pop-ups, and auto-playing videos all disrupt the user experience. Depending on how pushy they are, these ads can leave customers with a negative impression of both the advertising company and publishing site. Several studies have shown that customers strongly prefer native advertising. According to a HubShout survey, for instance, 85 percent of internet users don’t feel their experience is hindered by native ads. Advertisers see better results. Given the first two points, it only makes sense that native ads would lead to better results than display ads. According to Kyle Ryan of Earnify, “consumers are 25 percent more likely to engage with native ads than traditional banner ads.” To make things even better, the majority of this engagement is positive. Other companies have reported similar findings that support the effectiveness of native advertising. They are more likely to go viral. People are more likely to share informational content than content that is blatantly promotional. Thus, with native advertising, your audience might help you organically expand the reach of your message. Simply put, native advertising has a better chance of going viral. Publishers have more influence. Publishers have a much greater level of control over the content, form, and placement of native advertising than other forms of advertising. Native ads should feel like they belong with the rest of your content, and they should be more useful to your readers or customers. Visitors to your site will walk away with a better impression than they would if you monetized your site with traditional ads. Although native ads can vary wildly in most respects, the most successful ads do have a few things in common. First, make sure you choose your placement site and ad format carefully. Decide who exactly you want to target with your advertising, then determine which sites are best positioned to reach your desired audience. Try to find a logical link between what you are advertising and where you are advertising it. Review the various types of native advertising available and choose the one that fits best with your goals. You will also need to ensure that the ad itself reflects both your brand and the publisher’s brand. 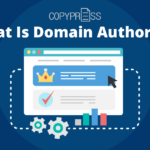 Everything from the colors and word choice to the tone and topic should blend seamlessly into the publishing site — without undermining your brand’s voice, message, or image. To reap the full benefits of native advertising, you need to avoid approaching it the way you would a traditional ad. 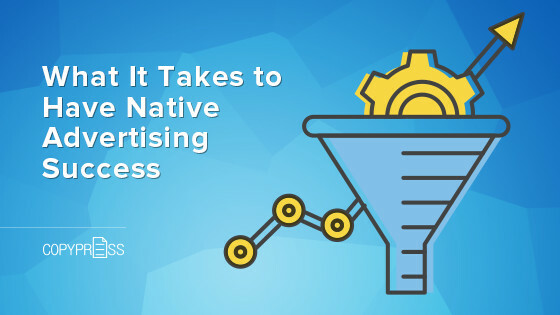 Although tracking metrics is important, you shouldn’t start by asking how a piece of native advertising will drive traffic to your site and increase sale numbers. Instead, focus on producing content that will be genuinely useful to your target audience. What will they find interesting or informative? What can you offer that will be of value to them? You don’t want your content to feel forced or look like a flimsy excuse to promote your ad. Native advertising should be as authentic as possible. Once you have the “native” part down, then you can move on to the “advertising” bit. Keep in mind that what makes native advertising successful is its subtlety. Although it’s wise to include a call-to-action, you should avoid hard sells and blatant self-promotion in favor of an indirect approach. For instance, instead of writing an entire article about how your coffee maker is the best on the market, write an article about what people should look for in a coffee maker. If the biggest selling point of your coffee maker is the ability to control it remotely via an app, include a section about Wi-Fi or Bluetooth capabilities so that you can mention and link to your product in a way that sounds natural. Include a verb that encourages action, but refrain from directly urging readers to buy your product. As a self-regulation measure, the IAB recommends that native advertising is clearly labeled so that readers can tell the difference between regular and paid content. Here are some of the most popular platforms that use native ads, along with the language they use to identify in-feed ads. Whatever disclosure language you use, it should leave no doubt that the advertising has been paid for, and it should be prominent enough to be easily noticeable. 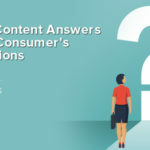 Proper disclosure is especially important because the FTC prohibits deceptive or unfair practices, and that rule applies to native advertising. Not only is disclosure required by the FTC and recommended by the IAB, it also protects your brand’s reputation. 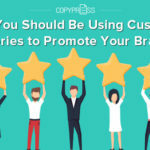 Whether you are the sponsoring brand or the publishing site, customers will form a negative impression of your brand if they feel deceived by native advertising. As with any marketing campaign, your native advertising efforts will benefit from tracking and analytics. You need to be able to gauge how well your native ads are serving their purpose. This includes testing and optimizing each component of your ad, from the headline to the landing page — not just the ad as a whole. Also, keep in mind that more and more customers are using mobile devices to browse the internet. Whether you choose to advertise on social media, on a news website, or on an influencer blog, your content should be optimized for mobile users. If your ad doesn’t display well on mobile devices, you risk alienating a large portion of your audience. Native advertising has become one of the most popular and effective ways to advertise, and it isn’t hard to see why. A well-designed native advertising campaign may be just what you need to improve your brand’s visibility.